During some photographs of the Bride and Groom next to a classic car they had at the wedding day, I wanted to focus on a smaller details. The Bride's shoe as an important detail for sure. I wanted to create an image where its all about the shoes. 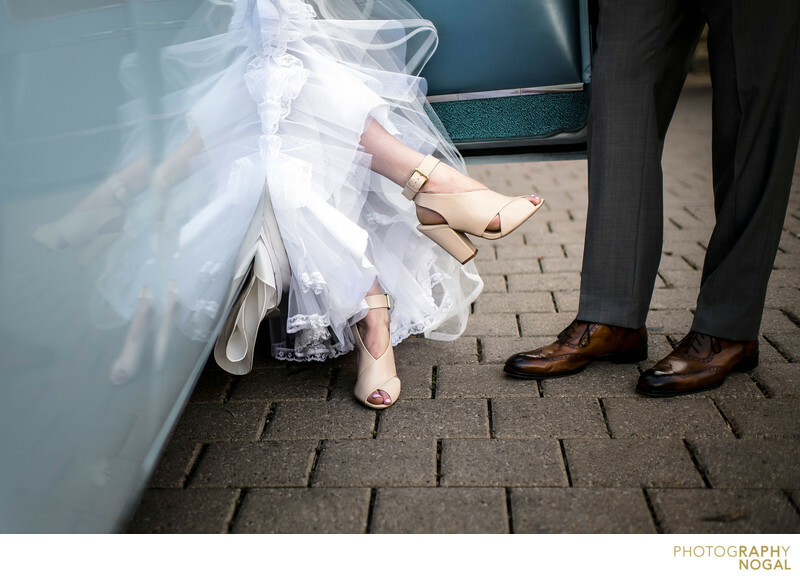 I like the reflection off the classic car and also seeing the groom standing beside the Bride and showcasing his shoes as well.